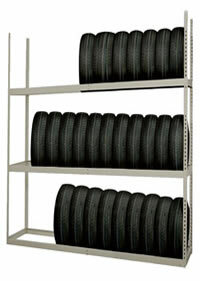 FastRak unit design makes these extra heavy duty units perfect for storing today’s larger tires. Recommended for tires that accommodate 16” and larger rims. 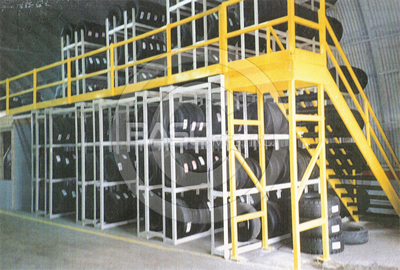 48”, 72” and 96” units accommodate 6, 9, and 12 tires (estimated) per level respectively. All units are 18” deep. 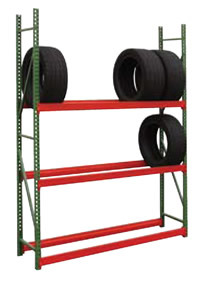 Units feature a newly designed upright that can be “knocked down” for easier shipment. Uprights can be shipped pre-assembled for an additional charge per upright. Optional deluxe footplates and concrete wedge anchors are available for added safety and permanent placement.